Whelks are sea snails from the family Buccinidae. (If you'd like a touch of elegance, feel free to refer to them as "marine escargots.") They have elegantly spiraled shells and, when properly cooked, their meat is tender and succulent. Whelks are popular in Europe. Where they are commonly sold at seaside snack stands in the United Kingdom and served on many seafood platters at brasseries and restaurants in France, where they are known as bourgots. They're growing in popularity in the U.S., but still not terribly common in markets. The catch in the States primarily comes from Southern California.The Kelletia kelletii species, usually called Kellet's whelk, is found along the Southern California coast, from Baja up to Monterey. It is a large, slow-growing snail that is being fished more regularly and intensively in recent years. It's a predatory scavenger that lives in the kelp forests and coral reefs that run along the coast. Most of the Kellet's whelk fishery is, in fact, by-catch from traps set for spiny lobsters and Dungeness crabs, since the mollusks, as scavengers, are attracted to the dead fish used to the bait the pots just as much as the crabs and lobsters are. Whelks are known among California fishermen as "the poor man's abalone." That may sound like an insult, but anyone who has had the good fortune to feast on abalone—whether pounded tender and quickly pan-fried or tenderized with a long slow cook into a stew or chowder—knows that any such comparison can only be seen as the highest of compliments. Whelks are fairly large, quite a bit larger than the related but quite small sea snails commonly called periwinkles. 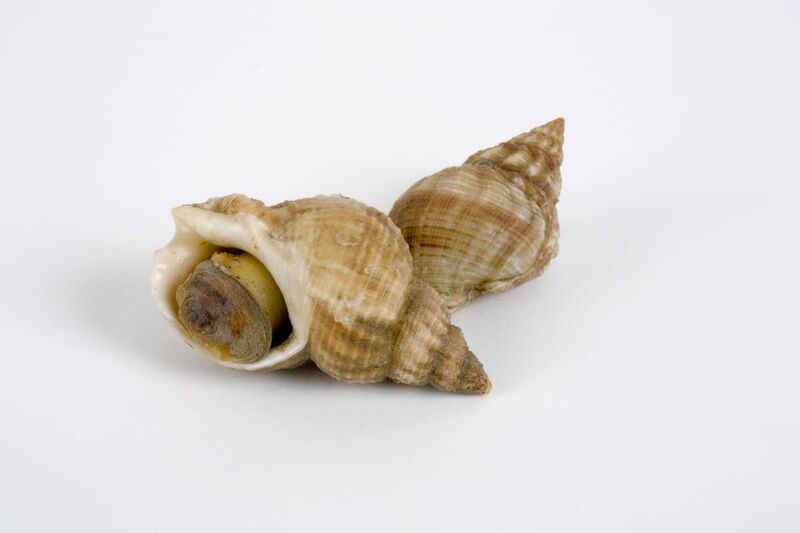 Whereas periwinkles are usually served simply cooked with small picks to pull the tiny bites from their shells, whelks are more frequently served already removed from their shell. In Britain, fried whelks are common; in Japan, whelks are often used in sushi or grilled on skewers; in the West Indies, they are chopped up and made into fritters. Like the abalone to which they are compared, whelks can be tough if over-cooked. Frying keeps them tender, and, like abalone, they can also be stewed—the long, slow cooking eventually re-tenderizing them after an initial toughening up. Look for whelks on menus at seafood-centric restaurants or from chefs who like to feature less-common ingredients. If you're lucky enough to live on the West Coast and have access to a good fishmonger, ask if they might carry some whelks for you to try. As already mentioned, they're often a by-catch from bigger commercial fisheries, so it's a question of creating a demand that can help make it profitable for fishermen to bring the whelks into market.